These pretend play printables will encourage your prekinders to practice writing skills while playing. Most importantly, children have fun writing while they play, and they practice skills without even realizing! Here are six printables that can be used in your Dramatic Play Center and/or House Center. 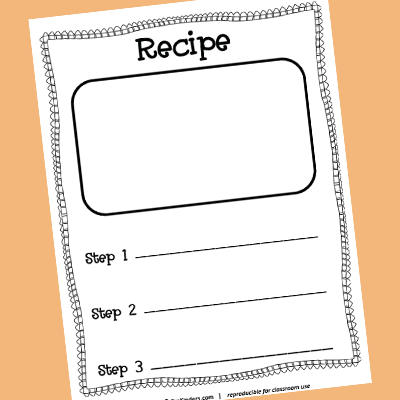 Children will practice writing letters and numerals with these printables as they pretend to write phone messages, shopping lists, recipes, calendars, checks, and design their own money. You will often see younger preschoolers writing scribbles, wavy lines, and letter-like symbols. These are all important steps in the pre-writing learning process. Kids can use this shopping list while pretending to write our their grocery list. Each line has a box to the left that they can check off as the pretend to purchase their items. These fit well on mini clipboards. Kids can use these printable checks to pretend to pay for their items at the grocery store, restaurant, doctor’s office, etc. They can use these to practice writing numbers and letters. Kids can pretend to write their own recipe by drawing a picture of their food in the box, and then write the steps to make the food on the lines below. Encourage children to write letters as well as numbers to represent how many of each ingredient. Kids can answer the phone and take messages for other people by writing on this Phone Message sheet. They will write the caller’s name and message in the boxes. My students love to write on calendars! Kids can write numbers, letters, or symbols to represent holidays, birthdays, and other special events. I hope your children enjoy these writing printables for pretend play! I am working on another set of printables for the Writing Center, coming up soon! 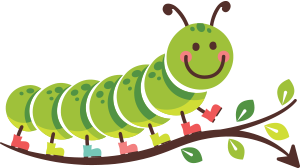 You can find more Pre-Writing Activities for Pre-K here. I think our girls will enjoy using these printables while playing dolls. Thanks a lot . I am a Head Start Teacher in California. I enjoy so many of your creative ideas. I use them whenever,& where ever possible to help enrich learning & make it fun & enjoyable. Thank you for the terrific ideas. Writing was my focus on my PDP this year and these will definitely help. Thank you so much Karen for the resources. YOur website is awesome!!! Thank you so much! I’ve always wanted my Kitchen Center to be more meaningful and these do just the trick! Thanks! Good to use in dramatic play for writing. Thanks very much for your emails and ideas. I have found some of them very useful as a new teacher in training over the last two months. Great for ELL prek ! What a fabulous resource! Thank you so much for sharing!! So awesome, so awesome, so awesome! Thank you! Will pin & share. So fun! The past couple of years I have extended ‘writing’ opportunities in all of my centers. These printables are so fun! My kiddos love making lists, and menus, and the best is when they write up ticket violations:) Thank you for sharing!! Blessings! and interest to the house area! Thank you Karen for the pretend pre-writing you sent. It is most valuable and I will use it in my classroom. Hi Karan Thanks ones again for sharing wonderful thought and printables. Thank you- our class will love these! Thank you so much! Cant wait to use in my class! Thank you so much for sharing your wonderful and useful creative ideas!!! Your hard- working hands be blessed, dear for making easier and better days for us! God bless and protect you always!!! Wow! These are absolutely great! I will use everything often throughout the year! Thanks so much! My students are doing a “clothes study” and we decided to make a class store. These items are PERFECT and just what we need to make our store complete!! Thank you so much!! Thank you Karen! Fun, fun, fun in learning. 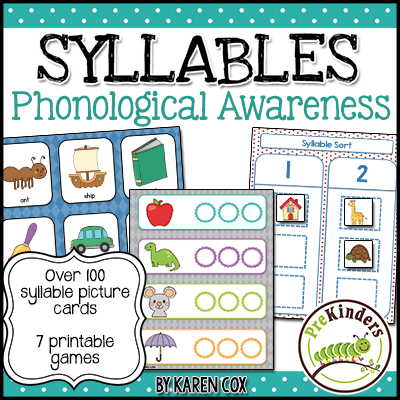 Thank you so much for all of these pretend play printables, Karen! 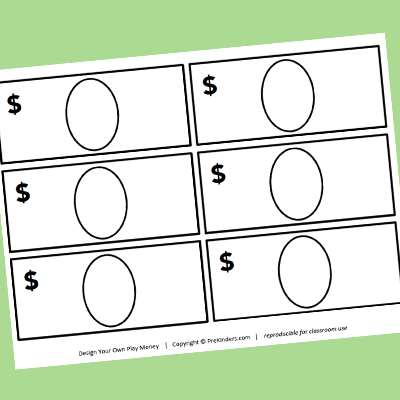 I copied the money on green paper and the checks on yellow…my kids had a BLAST with them today! We added them into our Grocery store and cash register! The shopping list is also a huge hit! Great idea to use the colored paper, Marlene! So, how do you store these printables in your writing centers? I’ve used various things. You can put them in ziplock bags (the stiff freezer ones) with the bags in a plastic tub. You can put them in plastic Sterlite drawers. You can put them in a paper sorter. You may even want to only put out one printable at a time, and just put those in a plastic tub or basket. 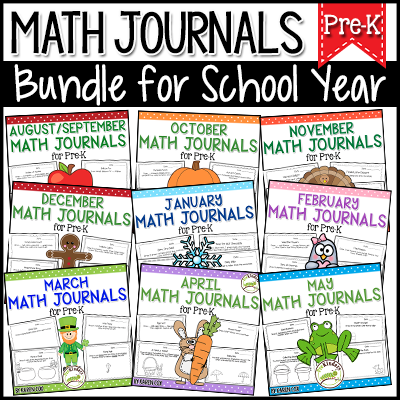 Thanks so much for the wonderful freebies and all of your ideas that benefit so many others! I appreciate them! Thank you so much for sharing these! These are great!! This is an amazing site!! I can’t wait to print these things out for the writing center in my class! I know not to put too much out at each center at the beginning of the year, so do you put a variety of these out the beginning of the year? or just some? I don’t put these out at the beginning of the year. What a great resource! Don’t know how I missed these till now!! Thank you for these printables! My niece will love getting them in the mail and playing with them!